Despite its solid economic growth and sizable population (the largest in the world), China is noticeably absent from many conversations and events surrounding design. As numerous publications have pointed out, there was very little representation of China this past year at Milan Design Week and New York Design Week, among others. To learn more, The Architect’s Newspaper (AN) managing editor Olivia Martin sat down with Yuichiro Hori of Stellar Works, a Shanghai-based design company, to talk about the current design climate in China. Although Hori is Japanese, he found Shanghai to be the best place to launch Stellar Works, a cross-cultural brand that has worked with designers such as Yabu Pushelberg, Space Copenhagen, Neri& Hu, and David Rockwell. Stellar Works has been praised as one of the few companies truly representing China (and Asia in general) in the design fair circuit. The Architect’s Newspaper: Tell me a bit about starting Stellar Works and how you ended up with a factory in Shanghai and a factory in France. Yuichiro Hori: My background is in furniture design, so I was designing my collection without my own factory and I was supposed to be making everything in Japan. The quality of Japanese manufacturing is very good, but the problem is that the factories aren’t very flexible. The Japanese manufacturing mentality is conservative and people hesitate to take on new challenges. This leads to long lead times and high costs. I had lots of ideas for my new collections, but it was difficult to get them done. When I went to China, I was surprised by the large-scale furniture factories with new machines and highly skilled workers—I was very impressed! I started asking some of the Chinese companies to work with me. Ultimately, I set up my own factory in Shanghai, which is an amazing environment: It is innovative and dynamic and international and I am able to find skilled workers easily. 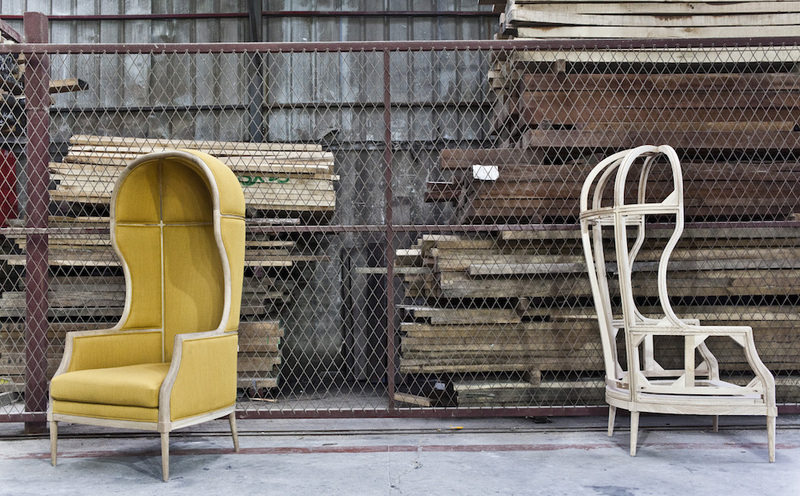 So, I moved to Shanghai for my factory there and also started working with the high-end French manufacturing furniture firm Laval to do the furniture’s hand detailing. How does that combination of Japanese-Chinese-France work? It’s very interesting. It’s a unique combination. Everything is different, even the way we work and the way we talk. Every day we have a new surprise—mostly positive surprises. We are learning about each other and learning from China. The French factory is smaller than the Shanghai factory and can only be open for 35 hours a week, whereas the Shanghai factory can be open for double that because the people are very young and very willing to work. Obviously, the two cultures are very different. We like to say that we are made in Shanghai rather than made in China. We enjoy the city here and the nice living environment. Typically, strong design movements come out of very strong economies and Shanghai has a strong economic background. As we get more and more design requests we can support the improvement of local manufacturers and challenge new designers. Overall, we have noticed a lack of Chinese design at major furniture fairs, even as the Chinese market has grown. Do you agree with that or are we looking in the wrong places? I think China is still more hardware than software. China is the factory of the world; they are producing everything and exporting everything. So the challenge for China is that they are so focused on manufacturing design rather than creating it. I definitely don’t think that is bad, but it makes it more difficult for design development. But, China is booming and growing so sooner or later it is going to happen. From child-sized designer furniture to customized outdoor seating, this jamboree of unique children’s furnishings puts play at the forefront of design. 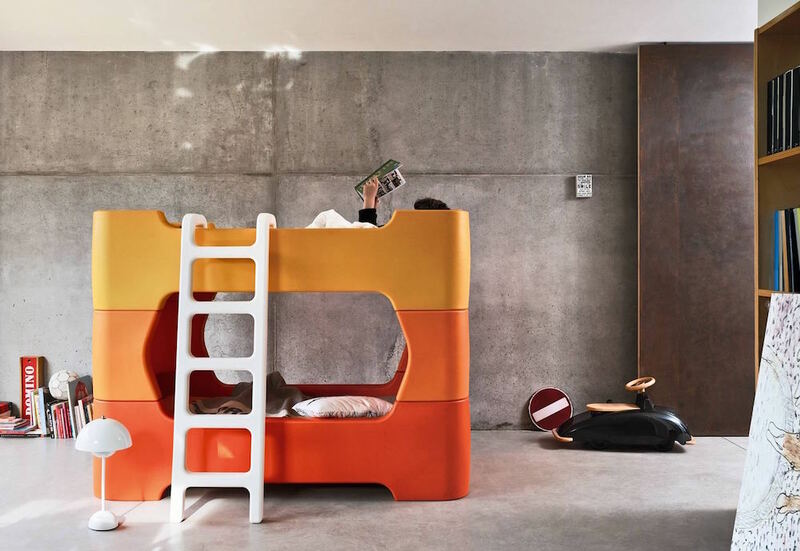 Bunky by Marc Newson Magis Bunky’s design combines fun, privacy, and safety to create an environment where kids can have a space of their own and, obviously, sleep. Made from rotational-molded polyethylene, it is assembled from just four pieces and is available as a children’s single bed. All surfaces are smooth with no sharp edges, and the material is highly durable and easy to clean. Standard Sway Stool by Daniel Michalik kinder MODERN Balancing motion with function, this stool is made from a single block of recycled cork. A special pattern is cut into all four sides, causing the seat to rock and pivot under the weight of body movement. Sitting actively improves the sitter’s posture by the act of maintaining balance. 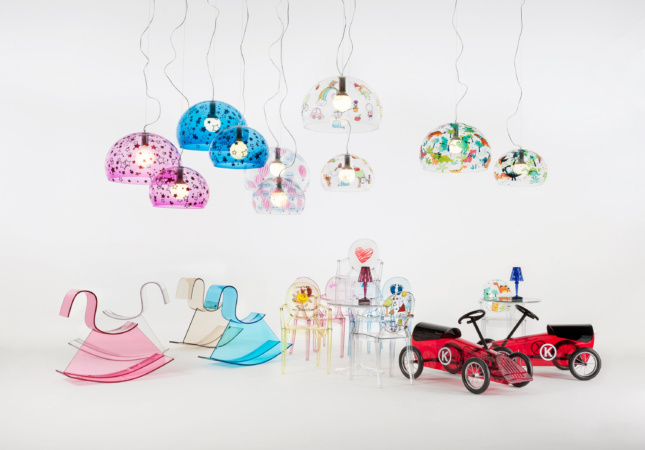 Lou Lou Ghost and Tip Top by Philippe Starck Kartell Philippe Starck’s iconic Louis Ghost Chair and TipTip side table were made into their respective child-sized versions. Just like Louis, the Lou Lou Ghost is made of durable polycarbonate, making it scratch-resistant, stackable, and easy to clean. Meanwhile, the TipTip kid’s round top has a single base that combines a colored top with a hollow transparent leg. Together, they can be used both indoors and outdoors. K desk RaFa-kids This kid’s desk resembles the letter K when seen from the side. The design features rounded corners and a lid that opens to reveal an interior tabletop. The K desk can be used for working or hiding little treasures in the underside of a lid that doubles as a place to pin drawings or photos. Downtown by Oiva Toikka Magis Magis imagined a square shelving unit that features five setback tiers, a pointed top roof, and legs. Along the sides, recessed squares mimic the shape of windows. The skyscraper-shaped form is molded in polyethylene, making it suitable for both outdoor and indoor use. Adada Rocking Horse Fermob USA Fermob makes the Adada Rocking Horse out of the aluminum leftover from producing other furniture. It has a lightweight frame outfitted with plastic pads on the base to let children rock away indoors or out without scratching the floor. A permanent James Turrell pavilion will be coming to the Philadelphia Museum of Art, although critics initially raised questions of its appropriateness, according to the Philadelphia Inquirer. 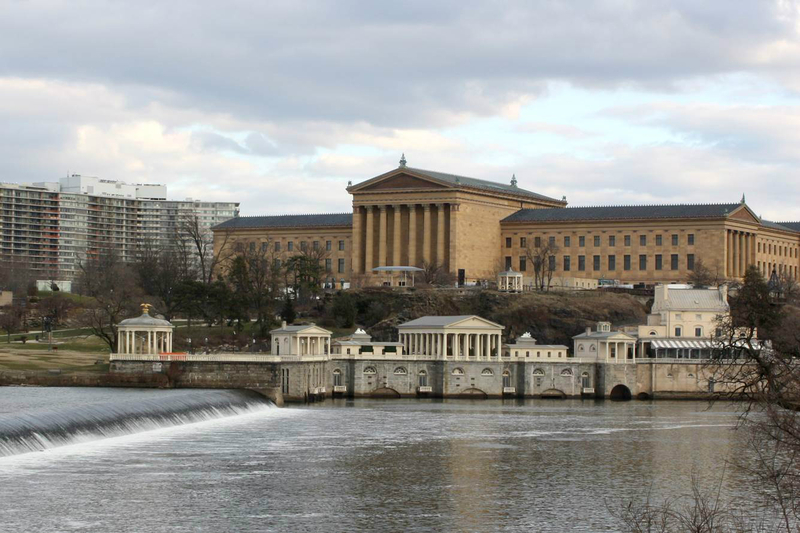 The City of Philadelphia's Historical Commission approved the installation of the modern pavilion last month, paving a spot for the artist to build on an iconic rocky outcrop behind the museum. The pavilion is being built with Philadelphia-based KSK Architects and is a part of Turrell’s Skyspace series. Every Skyspace varies, but they all feature a proportioned chamber with an aperture in the ceiling and computerized light installations that are meant to evoke meditation and contemplation. This new pavilion will be a free-standing structure with an opening in the canopy for a framed view of the sky. A twice-daily show at sunrise and sunset with colored lights will be projected onto the underside of the canopy. There are already two other pavilions on the outcrop, and Turrell’s will be the third—a modern, 21st-century piece. It is being paid for by an anonymous donor and is only the second commission the museum has installed (the first being Sol Lewitt’s garden composition). According to the Philadelphia Inquirer, the pavilion was initially denounced as an “alien spaceship” by one Historical Commission member; a National Park Service official also warned that it could ruin the iconic landscape. (The site overlooks the historic Fairmount Water Works.) After several changes, including blending the canopy more into its environment and obscuring the lights, the pavilion gained approval from both commissions. Inga Saffron's article in the Inquirer pointed out that while the museum did get approval from the Art and Historical Commissions, there was little public engagement process for the pavilion. There are more than 80 Skyspace installations across the world, including Turrell's first Philadelphian one in the Chestnut Hill Friends Meeting House. There is no set timeline for the project yet. In a nearly unanimous vote, on July 10th the City Planning Commission approved the rezoning and revitalization plan for Downtown Far Rockaway in Queens, as first reported by CityLand. The plan aims to re-establish Downtown Far Rockaway as the peninsula’s commercial and transportation hub through new zoning that encourages mixed-use development, new public spaces, improved pedestrian walkways, and better access to community services. It's also one of several neighborhood rezonings in Mayor Bill de Blasio’s push to build more affordable housing. Downtown Far Rockaway is the historic commercial core of the peninsula: located near Rockaway Beach and Jamaica Bay, it's serviced by stops on the A train as well as the LIRR. The area has not been rezoned since the 1961 Zoning Resolution that subsequently prevented residential developments in the commercial and manufacturing zones that feature extensively in the area. Downtown Far Rockaway also has few local employment opportunities, little open space, and poor pedestrian access. Rezoning, which is the plan’s backbone, would foster new residential and mixed-use developments, especially on the area's larger streets. One part of Far Rockaway would also be designated an Urban Renewal Area, which would enable the City to purchase and transfer properties to developers. The “roadmap for action” plan also aims to incorporate the current community by improving existing commercial spaces and local businesses as well as increasing accessibility to job training, education, and community services. According to CityLand, the city is already investing $100 million in the area, with improvements including "streetscape reconstruction, sewer upgrades, park improvements, storefront improvement, and library upgrades." The plan was passed with conditions that include community-based project labor, a new school and park, and limits on up-zoning. Additionally, a 22-block area (bounded by Caffrey Avenue, Redfern Avenue, Nameoke Avenue, Beach 22nd Street, and Gateway Boulevard) would be designated for Mandatory Inclusionary Housing. The final vote will be made by Major de Blasio, who has already indicated his support of local neighborhood rezoning and revitalization plans. This article appears in The Architect’s Newspaper’s April 2017 issue, which takes a deep dive into Florida to coincide with the upcoming AIA Conference on Architecture in Orlando (April 27 to 29). We're publishing the issue online as the Conference approaches—click here to see the latest articles to be uploaded. The moon over South Florida looked like a swollen grapefruit in November, its reflection rippling off pools of ocean water that bubbled up through storm drains, crept over seawalls, and swallowed Miami streets. It was a “supermoon,” about 17,000 miles closer to Earth than usual, according to NASA, arriving just in time to supercharge the seasonal high waters known as king tides. The water made an island out of the lifeguards’ shack on Matheson Hammock Park, swept “No Wake” signs from marina harbors onto city streets, and marooned a live octopus in a parking garage along Biscayne Bay. On days like these, it’s obvious that much of the region now home to about 7 million people began as a network of swampy canals meandering from the Everglades to the ocean. Sometimes nature conspires to remind the city of this fact, as it did in November 2016. Lately those reminders have become more frequent. The rate of sea-level rise has tripled over the last decade, according to a recent study from the University of Miami, bringing with it more frequent coastal flooding. The U.S. Army Corps of Engineers projects that Miami-Dade County will see about 15 inches of sea-level rise by 2045. And because South Florida sits on porous limestone bedrock, saltwater is not just encroaching on coastal communities, but gurgling up from below. Right now it’s a nuisance, but over the lifetime of a mortgage, flooding in South Florida could threaten tens of billions of dollars of real estate and upend development in the country’s 10th largest metropolitan area. Architects, planners, and developers are just beginning to overhaul the urban landscape, laying the groundwork for a sweeping transformation of building codes, municipal infrastructure, and design norms that could save the city from rising seas. The crucial question is: Who will change that built environment? 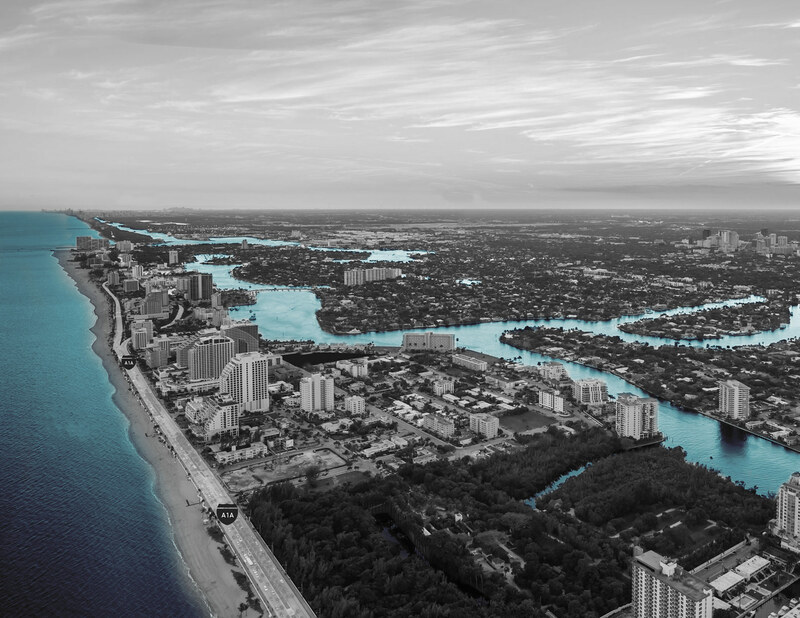 Will it be architects and city officials, safeguarding South Florida against the effects of climate change as the world’s living laboratory for so-called climate resiliency? Or is nature coming to reclaim Miami as a swampland? South Florida’s development boom is so lucrative it seems inevitable that it will continue. Before the city was founded in 1896, however, it wasn’t clear that the mouth of the Miami River would ever be anything more than a mosquito-infested trading post—until the industrialist Henry Flagler dragged his railroad south from Palm Beach along the highest ground he could find: a coral ridge between 12 and 25 feet above sea level. The tracks reached Biscayne Bay on April 22, 1896. Three months later Miami was incorporated. Today, Miami is a bustling, sprawling urban landscape that has been remade to suit cars, but some planners say that the same limestone ridge Flagler used could anchor climate-friendly development. The Urban Land Institute is drafting a plan for the Arch Creek Basin, a mostly low-lying area straddling 2,800 acres and four municipalities, as well as unincorporated Dade County, around one stretch of the railroad. Primarily poor people of color, the residents of Arch Creek face a severe threat from sea-level rise—one that could eventually force them to abandon the area. 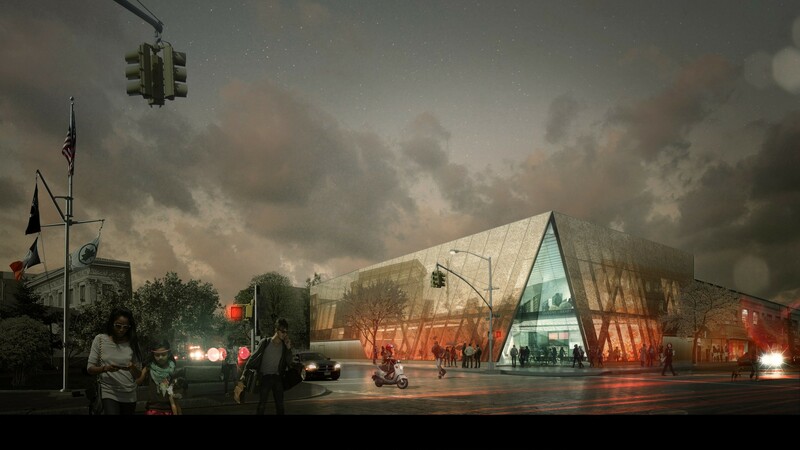 At a charette in November, designers Gustavo Sanchez-Hugalde, Max Zabala and University of Miami professor Sonia Chao presented their idea for a flood-resistant transportation hub at Northeast 125th Street. It would be transit-oriented development, dense with mixed-use buildings and affordable housing, but also with a health clinic, back-up generators and other resources that could come in handy during a disaster. “Think of these as not just transit but resilience stations,” said Chao. In the long run, South Florida’s scarcity of higher ground could also make its elevated areas more valuable as waters rise. That could exacerbate gentrification in minority neighborhoods with relatively high elevations like Liberty City and Little Havana. “It’s a matter of time until investors will head for the higher land,” said James Murley, chief resilience officer for Miami-Dade County. But climate change isn’t forcing people out of their homes just yet. Asked if climate change is a driving force for gentrification in Miami, Murley is skeptical, but others are starting to look toward the future. 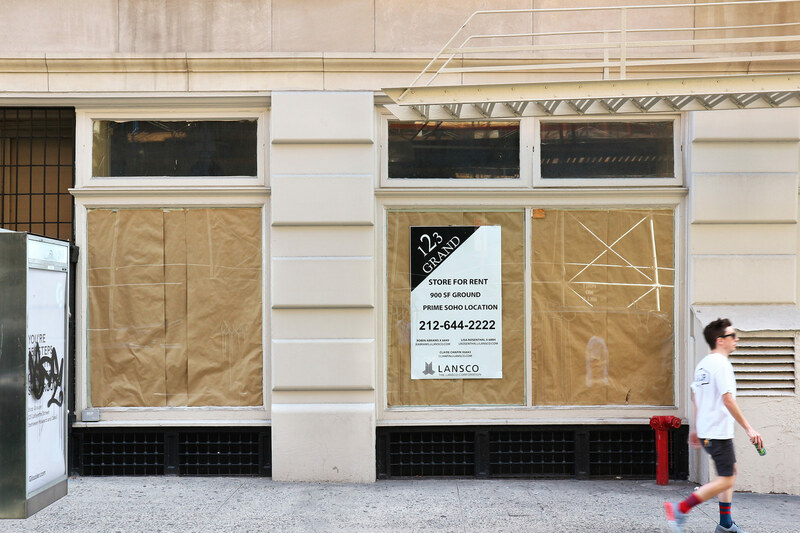 “Right now we’re experiencing more of the classic gentrification that comes with a growing real estate economy,” Murley said. While the mainland mulls long-term plans to adapt to rising seas, the coastal barrier island of Miami Beach is busy building. Over the next five years, the municipality of Miami Beach will spend $400 to $500 million on flood defenses, installing 80 new pumps, raising roads, and strengthening seawalls across the city. So far the city has funded about $200 million of that project by more than doubling stormwater fees. A law passed last year requires the owners of buildings larger than 7,000 square feet to pay a fee if they don’t get certified as at least LEED Gold. The builders of properties that don’t get LEED certified at all get slapped with a fee equal to 5 percent of their construction costs. That could help raise money for future infrastructure investments. Miami Beach also requires new buildings to be at least one foot above the base flood elevation of six feet above sea level. As an additional incentive for developers, the city won’t count the raised elevation of a flood-proofed site toward the project’s height limit or floor-to-area ratio. Miami Beach environment and sustainability director Elizabeth Wheaton said the new requirements wouldn’t stunt development. The first building completed under the new elevation requirements is Jean Nouvel’s Monad Terrace, a 59-unit luxury residential tower on the waterfront in South Beach. Nouvel built Monad Terrace’s ground floor more than 11 feet above sea level, elevating all of the building’s interior spaces and its entrance high enough to ward off flooding. Building high is an increasingly popular choice for private residences, too. The local architect Rene Gonzalez, known for his high-end modernist houses, is building four new homes in the area that are modeled on mangroves—propped up with stilts and columns for an additional layer of privacy that also affords the owner some long-term insurance against flooding. Gonzalez designed his own home on Belle Isle the same way. For now, however, most of that work is clustered in tony Miami Beach. In Miami-Dade County at large, where nearly half of all residents live in poverty, there are fewer options. Because saltwater rises up through South Florida’s porous limestone bedrock, it’s not just coastal communities that are at risk. Many of the most threatened areas lie miles inland, in suburban and often low-income areas of Miami-Dade and Broward Counties that can’t afford to elevate all their homes and streets. Miami-Dade is in the middle of a vulnerability analysis for major infrastructure, from its airport to its water system, identifying “adaptation action areas” where city planners might best focus their efforts. “There’s a lot of work that needs to be done and it needs to be done in short order,” said Abbate. Some of that work is already underway. The newest addition to the county’s hospital system will pioneer a flood-friendly approach in the recently incorporated town of Doral, just west of Miami International Airport. Designed by Perkins + Will, Jackson West hospital will devote most of its 27 acres to green space and a retention pond to store runoff not just from the built-up part of the site that will house the hospital, but from the developments surrounding the site. Construction is set to begin later this year and the hospital could open in 2020. Perhaps before it faces up to the force of nature, however, South Florida may have to reckon with its runaway real estate market. Wayne Pathman, a land-use attorney and chair of Miami’s Sea Level Rise Committee, said the face of Miami’s climate crisis might not be a natural disaster, but a collapse of the insurance market. Pathman said some of his clients with property in Miami Beach and North Beach are already seeing a 500 percent increase in their flood insurance premiums. For now, that’s manageable, he said, because they were probably underpriced in the first place. “When that jumps as high as $50,000 over the next 10 years, which it will, that’s alarming,” he said. Areas that today flood two or three times each year could see water in the streets every week, and banks may stop offering mortgages there. That could have ripple effects across the region, Pathman said, jeopardizing tourism dollars and property-tax revenue that Miami-Dade and Broward counties will need to fund new climate-resilient infrastructure. Reinaldo Borges, an architect who sits on the sea-level rise committee with Pathman, said the luxury houses and museums already built to deal with higher seas show climate-resilient design can provide a return on investment. Borges has a checklist for clients who are looking to invest in the future of Miami real estate—not just flip property for a profit. It includes elevating building mechanical systems, installing hurricane-proof windows, and planning for severe floods. “For a building like that, all you have to do before a storm is bring your pool chairs inside,” he said. Climate-proofing one building may be a straightforward design problem. Saving a metro region of 7 million is something else. Borges came to Miami when he was six years old, brought from Cuba by parents who sought a better life for their children. Today he has two daughters, ages 23 and 29, and he has the same hope for them. A tiny mountain town nestled in the Rocky Mountains is bringing in the big guns for the adaptive reuse of a beloved crumbling warehouse in its burgeoning arts district. Already a destination for the outdoorsy, the former mining village of Telluride, Colorado, decided to add ‘thriving arts community’ to the list of reasons to come and visit. 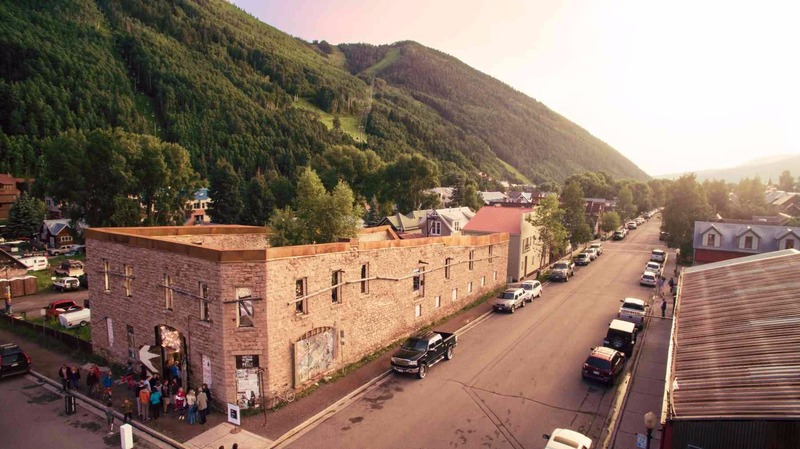 Local non-profit Telluride Arts was instrumental in the push for more cultural programming and is responsible for the adaptive reuse of the dilapidated, but adored, Telluride Transfer Warehouse. The 6,000-square-foot sandstone warehouse stands at the heart of the arts district, making it an ideal spot for a center for the arts and a good candidate for restoration. After gaining approval for restoration, Telluride Arts launched a national design competition earlier this year. 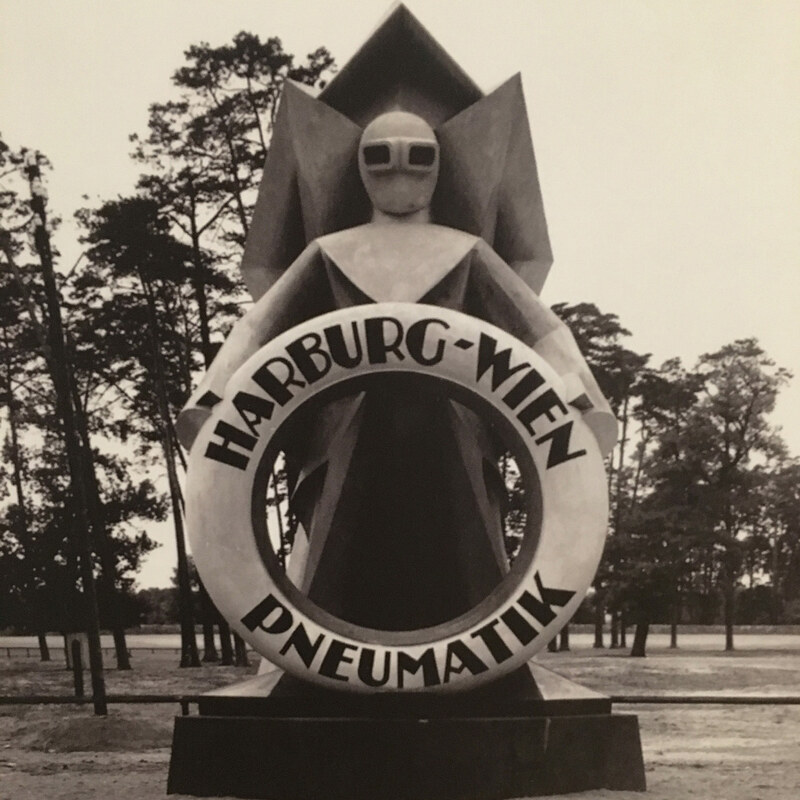 "Key elements of the program include a Kunsthalle for exhibitions, flexible spaces that transform to host a multitude of events, and a small, museum-style bar/cafe that invites a constant flow of people and casual gatherings into a living-room atmosphere," said the arts organization on their website. Thirty firms put their names forward and, after careful selection, three finalists have been chosen: Gluckman-Tang and Lewis.Tsurumaki.Lewis of New York, and NADAAA of Boston. The finalists will now have two months and a $10,000 stipend to put together a conceptual plan ready to present to the community on May 30. During that time, the teams will visit Telluride get to know the town and the little warehouse that could. The building is listed as a National Historic Landmark and has stood for over 100 years. Originally built in 1906, it was in use until its roof collapsed in 1979. Since then, the building has stood vacant and decaying, a period that has become as much a part of its history as the life it had prior to 1979. NADAAA touched on this relationship of crumbling historic landmark and contemporary cultural hub in their statement to Telluride Arts. 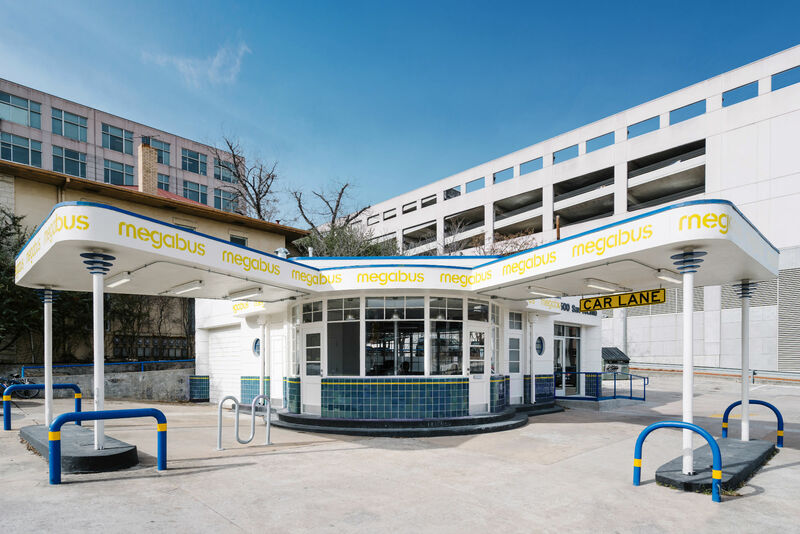 “Rare is the opportunity to both preserve an important historic landmark and create something wholly unprecedented,” said Katie Faulkner and Nader Tehrani of NADAAA. 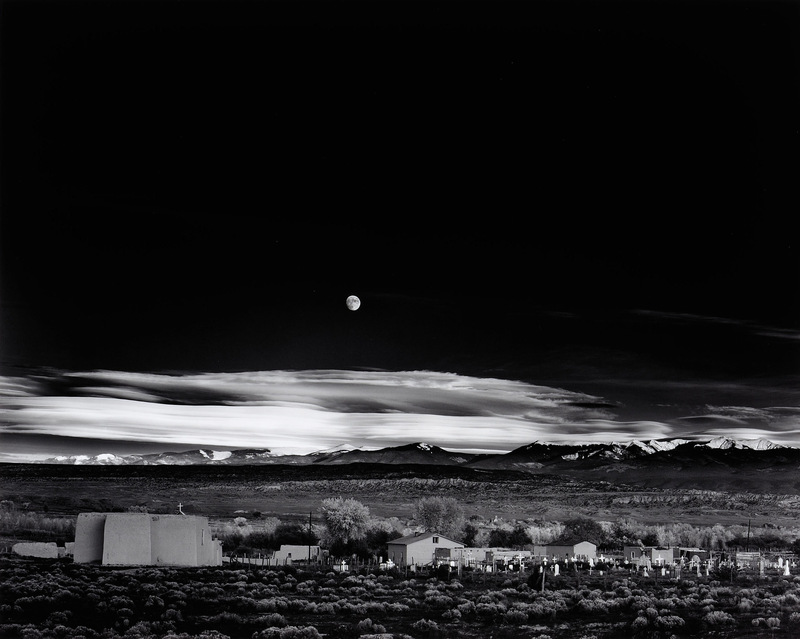 “The Transfer Warehouse stands as a monument to Telluride’s history of perseverance. The fundamental challenge of the project will be to maintain the power of the ruin while sponsoring the vision and opportunity through architectural speculation for the Arts District.” The final presentation will occur in Telluride on May 30 and Telluride Arts anticipates construction on the project to begin in 2019. To learn more about the Telluride Transfer Warehouse visit the Telluride Arts website here. Renzo Piano and Richard Rogers’ culture factory for the people: a building that at 40 years old, still looks to the future. "Life begins at forty!" say most with a glint in their eye and a glass of bubbly in raised hand. That phrase though, belongs to those who know they will not live much past twice that age—if they're lucky. 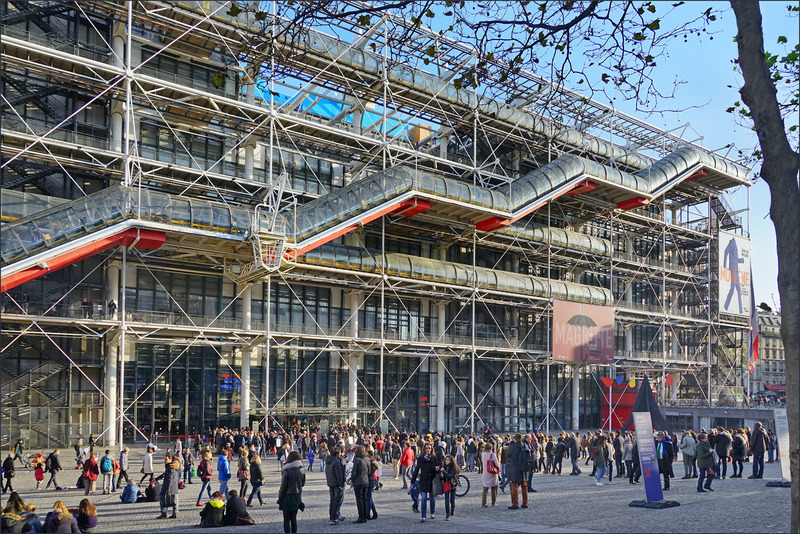 Inaugurated to the public in Paris on January 31, 1977, and celebrating its 40th birthday today is The Pompidou Center. Its architects, however, imagine a far greater lifespan for their building: Renzo Piano hopes it will last for two millennia. "We believe that the life of this building will be 2,000 years so we don’t care so much about 40 years," said Piano speaking to Rowan Moore in The Observer. "The Colosseum is still there so I don’t see why it won’t be still there." Both Italian-born architects, Piano and Richard Rogers (the latter settling in England during WWII) led the design team behind the now iconic building. The pair worked alongside architects Gianfranco Franchini and John Young, also from Italy and Britain respectively, as well as Arup engineers. Though much-loved and well-visited today, the Pompidou Center suffered a rocky start when completed forty years ago. "Not many outside the charmed circle of modern architecture have even heard of Archigram and of its apocalyptic struggles in an unresponsive society," said Reyner Banham in the year of the Pompidou's opening. "...You don’t go to Paris to look at post-Corbusian modern architecture. Why then was the [Pomoidou Center] built to this sort of design?" he questioned. Back then, as it still does so today, the Pompidou rises up above the enclaves of its Haussmannian surroundings of Paris' 4th arrondissement. Tall buildings in the French capital are seldom met with open arms and the 149-foot-tall structural behemoth was no exception. Despite its sheer mass detracting from this notion (it's 544 feet long and 197 feet wide), even President Pompidou who commissioned the building was struck. Rogers recalled his reaction: "all he said was “Ça va faire crier” [This is going to make a noise]." The flower-power foursome, however, weren't deterred. Building on the radical architecture conceptualized by Archigram (Plug-in City) and Cedric Price (Fun Palace), and even built by Eb Zeidler (Ontario Place), Rogers and Piano sought to propose an essentially living building. Within their monumental megastructure, floors would move up and down, escalators would propel visitors up the side of the facade and screens would display messages to the masses. The Pompidou Center was to be a factory of culture. (Interestingly, Piano used this metaphor to describe his science center for Columbia University completed last year.) Sadly, only the escalators prevailed, but the structure remained an icon of "inside-out" and "high-tech" architecture. It's active facade, visibly alive with visitors milling around, also showcases an array of structural detailings. With this external framework set for an amalgamation of complexities, Piano and Rogers originally planned for the structure to be able to have parts easily added to and taken away. The factory would change with technology. This too, however, was never realized. Their approach also perhaps reflects part of Piano's childhood past. Growing up, his four other brothers were all builders. In an interview with The New Yorker, Piano recalled how his father questioned his teenage desire to be an architect and not a builder. "Keeping the action together with the conception is maybe a way to feel less guilty," he contemplated in 1994. The ideas found in the Pompidou can still be seen in Piano's work today. Extensive fenestration, openness, and proud and explicit tectonics are all prevalent themes throughout his projects. Perhaps this is because he sees the Pompidou Center more than most architects. The office of his namesake's firm (Renzo Piano Building Workshop) and even his apartment are located in the Marais District, a few blocks from the former Center Beaubourg site. While massive in scale though, the Pompidou Center doesn't fill all the space it was allocated. A sloping plaza which backs onto a series of unmissable air vents (which, in turn, outline the perimeter footprint of the center) allows the public to watch the goings on inside. In fact, 118,400 square feet of glass was used to compose the plaza-facing facade. On the roof, visitors can still enjoy vistas over Paris in all directions, taking in rare views over rooftops and onto the Eiffel Tower. Such egalitarian ideas had roots in Rogers' architectural education. Under the leftist stewardship of Paul Rudolph and Buckminster Fuller, Rogers studied at Yale where he befriended fellow compatriot Norman Foster. Foster later went on to design high-tech architecture evocative of the Pompidou Center himself (see the Renault Distribution Center, 1982), reaching similar architectural heights in the process. The left-leaning ideas Rogers ingested, meanwhile, manifested in his and Piano's only collaboratively designed work. This was no chance occurrence. The pair felt they could win the favor of Jean Prouvé, a member of the awarding jury who preferred social housing to extravagant culture palaces. “We saw that it might also be about ethics, people, society," said Piano. "We were young but we were not stupid. We saw some sign of a possible miracle.” (Side note: Philip Johnson was also a jury member) Rogers' and Piano's meeting, however, was arguably more fortuitous. In 1969, when at the Architectural Association in London presenting his exhibit on light-weight structures, Piano bumped into a doctor for whom Rogers had designed a dwelling. The doctor, while worried one of his sons had given Rogers chicken pox, took Piano to meet Rogers. Rogers would later describe Piano and himself as "probably as close together in outlook as any two architects around." They both went on to win the Pritzker Prize. 1969 was a momentous year for many reasons. Warren Chalk of Archigram wrote an article titled: “Owing to lack of interest, tomorrow has been cancelled.” A riff on Irene Kampen's title, Chalk inferred the diminishing possibilities of a technological, utopian architecture. In France, Georges Pompidou was announced as President. As Banham suggested, Pompidou probably hadn't read Chalk's brooding, and so threw caution to the wind. With the dust still settling from the 1968 May riots which had brought social upheaval, a snap election and a veer to the left, Pompidou furthered former President's Charles de Gaulle's idea for a free library on the Plateau Beaubourg in Paris. Pompidou also demanded that the building also became a center for the contemporary arts as the French capital feared its waning prowess in the art world. A competition was launched and 681 entrants from 49 countries saw their chance. Piano, Rogers, Young and Franchini—all in their early thirties—emerged as the unlikely victors. The group's submission, like Piano and Rogers' meeting, also rode its luck as it erred on the verge of not happening at all. Rogers opposed the idea of submitting, being more interested in a competition for a smaller museum in Glasgow. In what Piano described as a "beautiful little memo," Rogers outlined his case. "Being an old lefty, I didn't believe in a centralized, government-run art center, and certainly not one built in the heart of Paris," he said in 1994. Thankfully Piano, structural engineer Ted Happold, and Rogers' former wife Su were able to twist his arm. While its initial ill-favor is well documented, one wonders if the reaction would have been different had the Pompidou Center been completed earlier. With the spirit of '68 still fresh in everyone's minds, its values would have been both more apparent and relevant. Georges Pompidou did not live to see the building's completion and was not there to vouch for it. A decade after the center was built, however, another president, Francois Mitterrand, also shared Piano and Rogers' skyward vision. In 1987, Mitterand inaugurated a clock that counted down to the end of the century. "A nation must orient its gaze toward the future," he said. While that milestone has passed, no one has yet put a clock to countdown to the Pompidou Center's 2,000th birthday. A two-year renovation in 2000 saw enlargements made to the center's performance spaces, museum, and restaurant. Though this also resulted in visitors having to pay to use the exterior escalators, the center hasn't lost its appeal. At forty, the culture factory is still functioning. Still the biggest museum for modern art in Europe—boasting more than 50,000 works from 5,000 artists—the Pompidou Center continues to attract tourists in their droves—averaging around 3.8 million a year—from France and across the world.